The General Electric Theater presented adaptations of popular plays, short stories, novels and films in a half-hour anthology series starring top Hollywood and Broadway talent. The format accommodated live telecasts originating from both coasts and telefilms, with Ronald Reagan hosting the show from its third season to its last and provided a voice for General Electricâ? 's public relations campaign. Starting in 1958, the show made the switch from library music to original scores, with composer Elmer Bernstein spearheading the changeover. Each week Bernstein came up with an entirely new score (save for the main theme), usually using an orchestra of 25 players. To Bernstein, the challenge and fun came from the different kinds of stories and the musical challenges each presented. 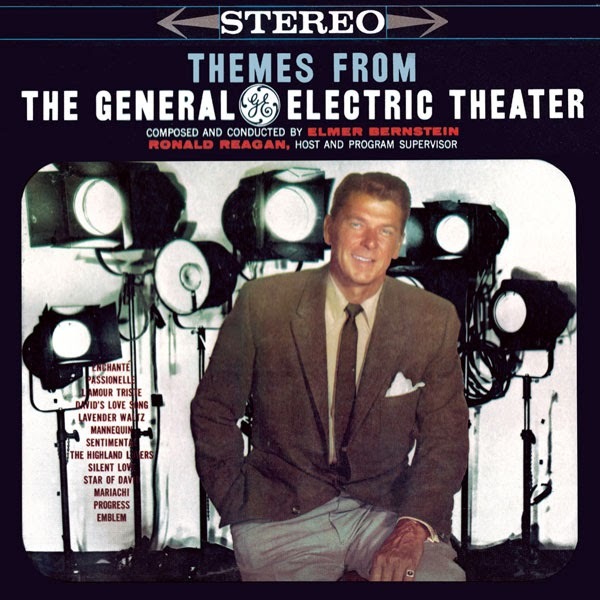 General Electric Theater left behind a dramatic legacy of 200 half-hour programs representing some of the best that Golden Age television had to offer. Fortunately for music lovers, Columbia Records in a rare move for 1959 issued this album of score highlights recorded by Bernstein with an orchestra of 45-50 players (nearly double the size used on the series itself), never before available on CD and presented from the original master tapes preserved in the Sony vaults.